A multipurpose mug made of melamine. Measurements: H 12,5 cm / Ø 8,2 cm Capacity 400 ml. Materials: Melamine. 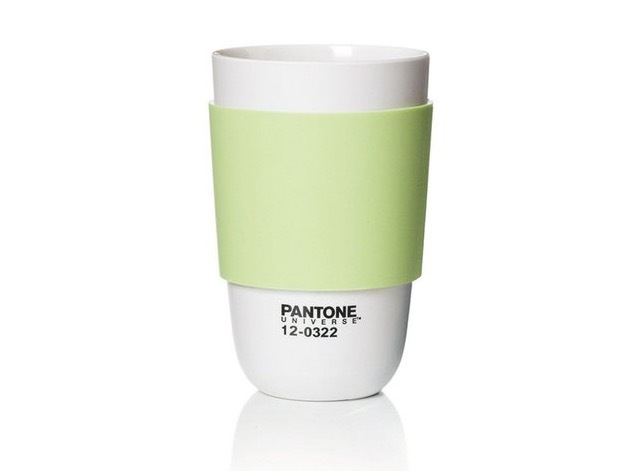 This Pantone color Nail Polish Spring color may be great for the female designer working next to you! 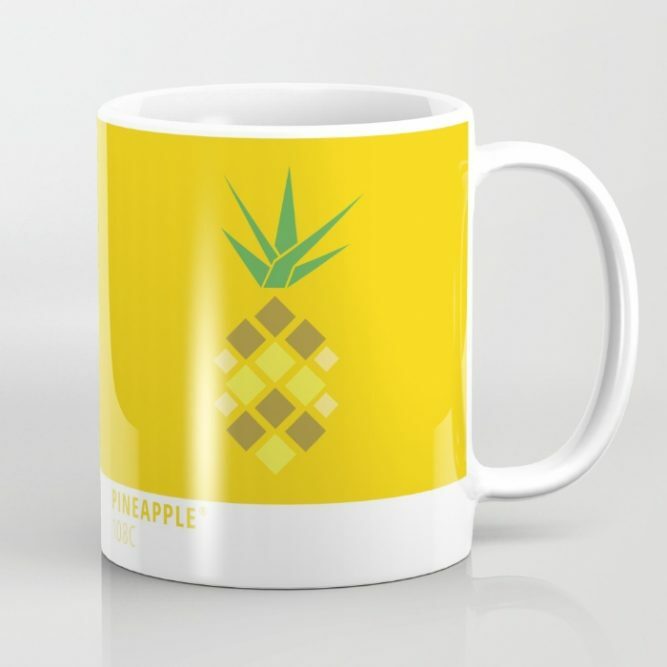 This vector pineapple Pantone geometric illustration makes a great addition to this Pantone Mugs list here on Andrew Kelsall Design. 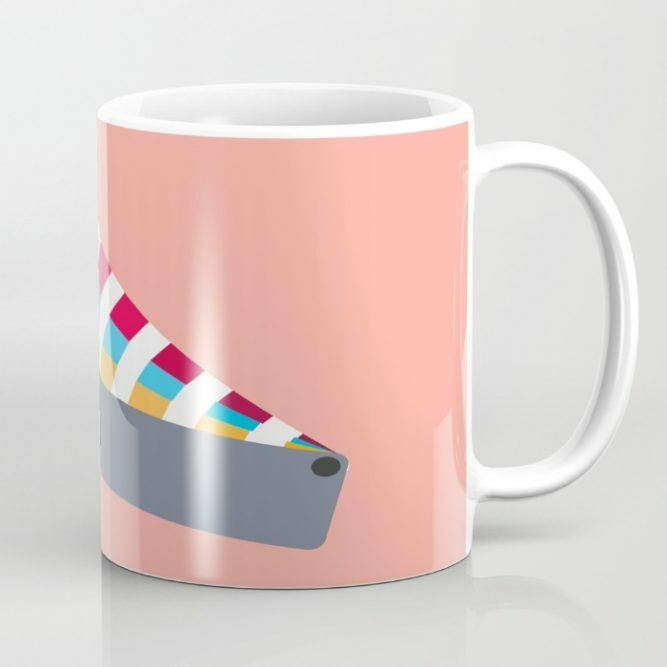 Check out the Pantone Squared Mug Design show above. Makes my eyes go funny, though! 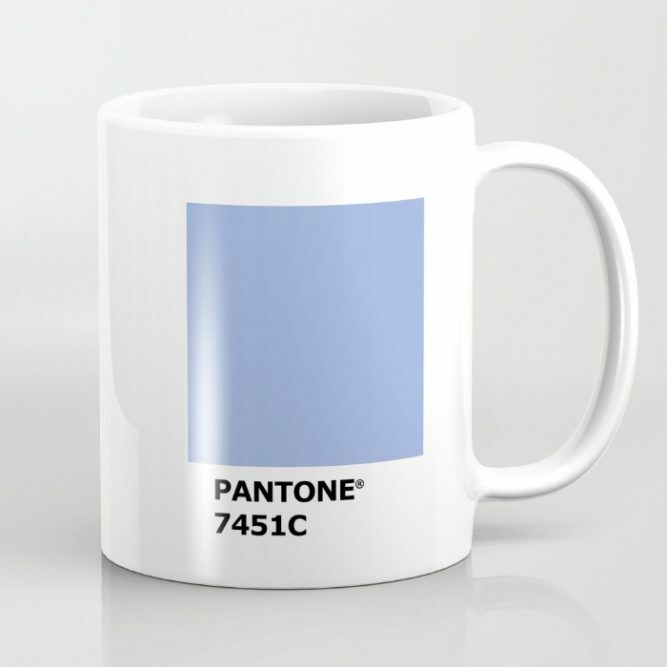 This Pantone 7451C Mug Design is very simplistic, but matches the whole tone (mind the pun) of what the Pantone Swatch books are all about. 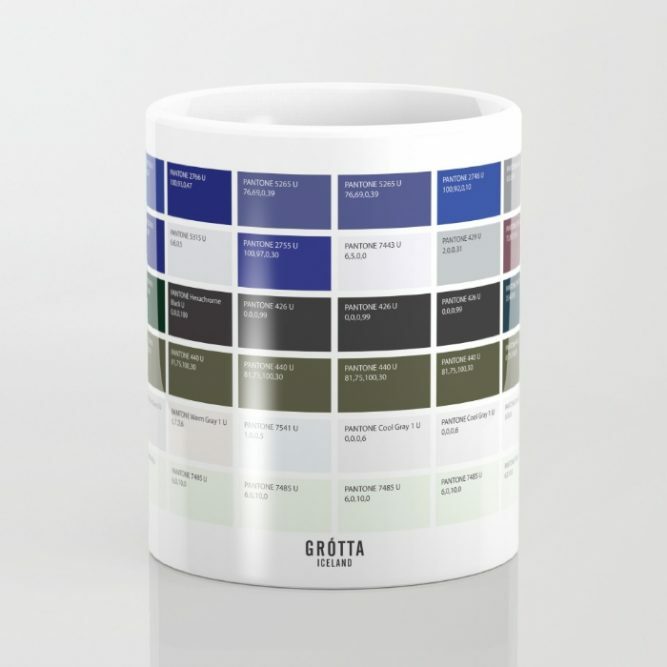 Patone colors palette from Icelandic landscapes. Vector process to create harmonious color glossary from widescreen photography. 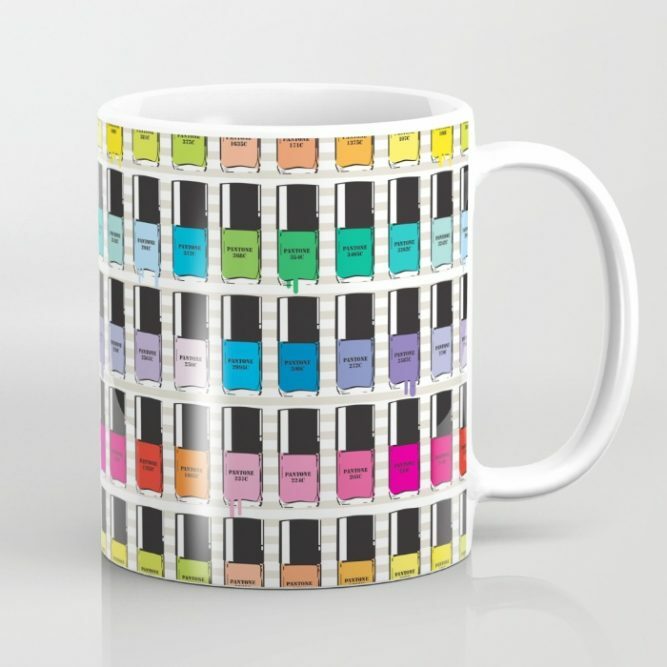 Like the rest of the mugs on this page (except the first one with no handle): available in 11 and 15 ounce sizes, our premium ceramic coffee mugs feature wrap-around art and large handles for easy gripping. Dishwasher and microwave safe, these cool coffee mugs will be your new favorite way to consume hot or cold beverages. 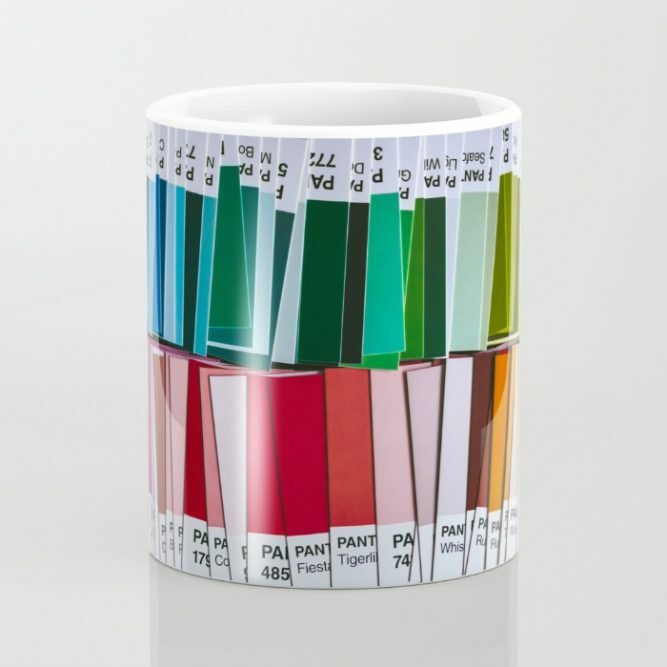 Further Information // “Pantone Mugs Available to Buy Now” // All the images shown within this post are © Copyright their respective holders. *Disclaimer: this page contains affiliate links. ★ If You liked this post, then please Share it across your Social Network 🙂 See also: Soaking Wet Pantone Rain Edition and Pantone Shades from the Human Race.